Back in a Ranger and w/new shoes. 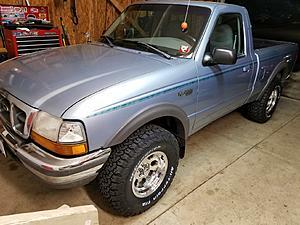 Found this 98 Loaded XLT on CL. turned out to be a 83yr old gentleman who had taken very good care of it. 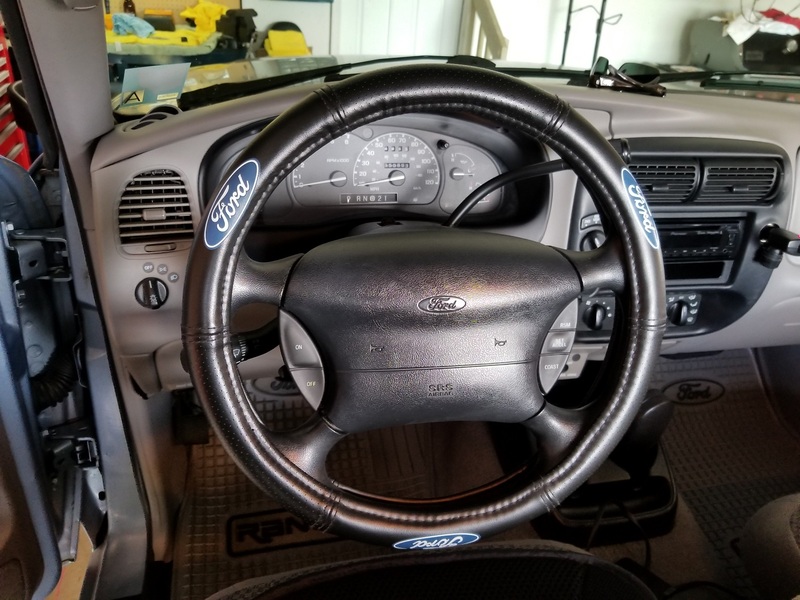 Everything works and it looks new on the inside! Just put these new Ultra 64 15x8's and 31x10.5 BFG KO2's on and it's just about right IMO. Nice! Don't think you're gonna get stuck in the snow this winter with those on! 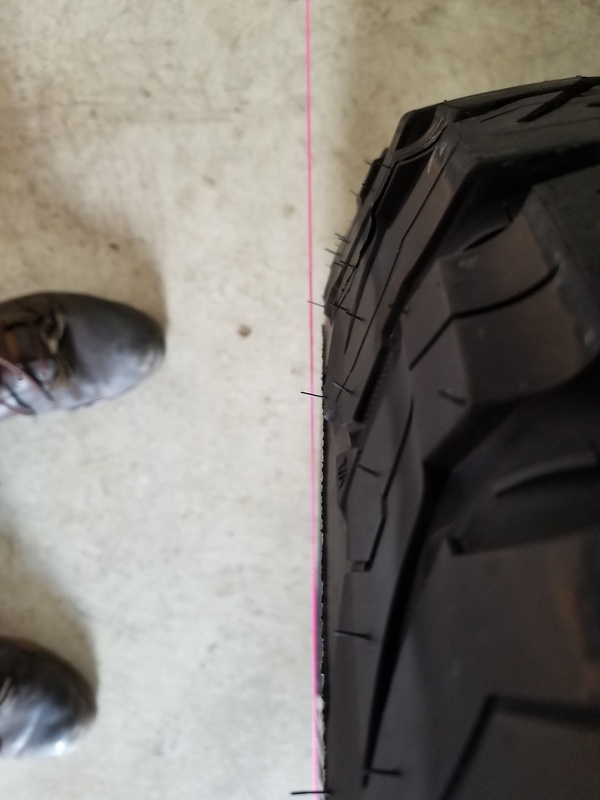 As for the tires they are doing well. Toe was out and steering wheel was at a weird angle. So I did a redneck alignment by using some red string to get it close to spec. Drives straight and much smoother than before. 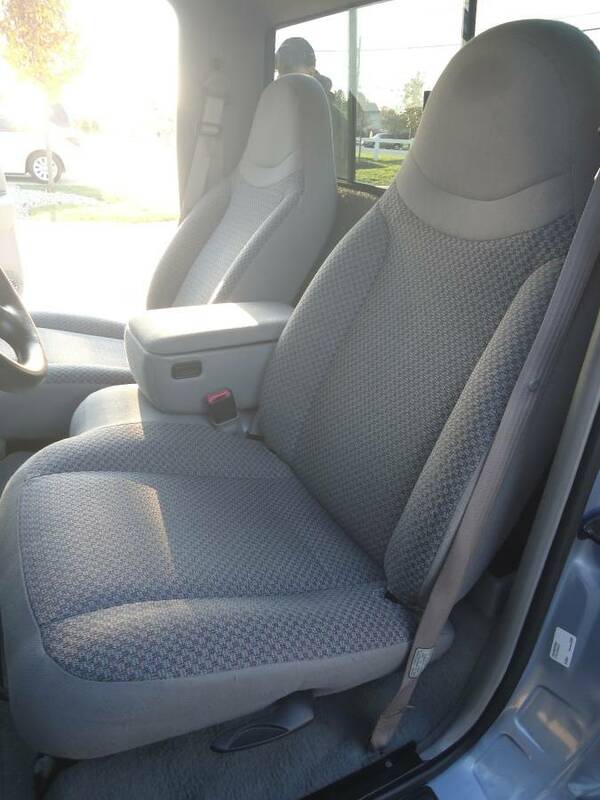 I have a 2002 XLT extended cab, looking to put different wheels on it. Any suggestions?? 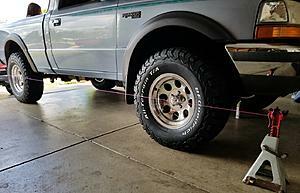 I ordered these Ultra 64 15x8's and 31x10.5 BFG KO2's from tirerack and am daily driving it. I'm 100% satisfied and to do it all over... I'd do the exact same thing. No regrets all all. btw, they polish up nicely with White Diamond metal polish and sealant bought at walmart. would it need to lifted in anyway??? 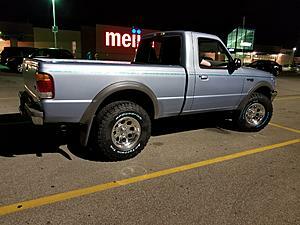 If its a 4x4 w/torque arms.. its easy. Just turn the bolts and the front end raises. Mines stock with the front end raised about 1.5-2.0 inches. You might want to have it aligned after settling on a height. its a 2wd what would i do then, haha!? If I'm not mistaken 2WD has coil springs. So you'd have to replace those in order to get the lift you want. Also if you more than about 1" you'll need shocks that can accommodate the longer travel. 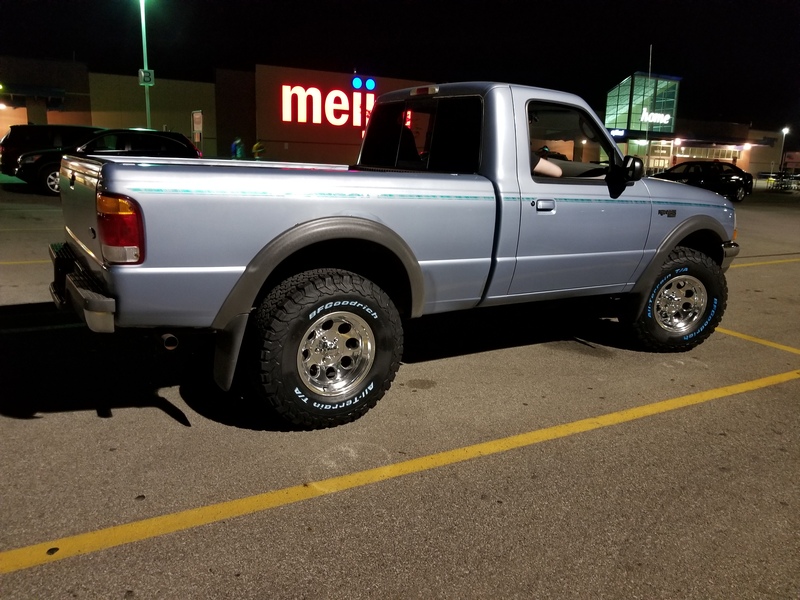 Cleaned up the new truck and tried on the new shoes!